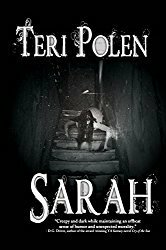 This is one grim, twisty, short story that filled this horror fan’s heart with glee. It’s been a while since I’ve read short stories, and I’d forgotten what a pleasure it can be to immediately get down to the business of storytelling – and this author does it well. He takes the reader by the hand and gradually reveals Vincent’s life, both in present day and through flashbacks. All the while, you just know something sinister might be waiting around the corner. And trust me, it is – you won’t be disappointed. Don’t expect blood and gore horror – this is more about the dark side of human nature, and what people are capable of doing to each other. The only negative for me, and this is my personal preference, is the cover – if I saw this book on the shelf, it isn’t something that would immediately grab my attention. But the contents inside surely did. Call Drops has a Twilight Zone/Black Mirror feel, and can easily be read in one sitting. I received a copy of this book from the author through Rosie’s Book Review Team. 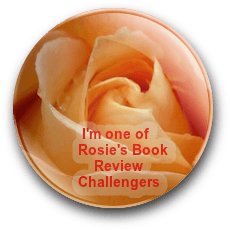 You’re welcome, Rosie – really enjoyed this one, and I’d love to find time to try his next. I agree the cover is one I’d probably gloss over but the contents definitely intrigue me. I’m not much for gore-type horror. I prefer it to be more subtle and induce chills. Twilight-zoneish sounds awesome! Sounds like this one is for you, Mae. Yep – the cover isn’t my favorite – it doesn’t complement the story inside. Thanks, Jenn! You know I love settling in with a good horror tale. It is, Craig. Fans of The Twilight Zone would appreciate this one. The contents sound awesome. The cover put me off. I’m not an ear-person, I guess. I don’t think I am, either, Staci. I have heard that ears are like fingerprints; no two are the same. But I still wouldn’t want one on my cover. Have to agree with you there, Staci. This sounds very intriguing, Teri. Definitely my kind of read. Thanks for the recommendation. You’re very welcome, Hugh – hope you enjoy it! I’ve downloaded it after reading your review, Terri. I’m sure it will have a ‘thumbs up’ from me. If I like it, I’ll check out some more of the author’s books. Thanks, Olga! I’d love to read A Plague of Pages, Olga – I just need more hours in the day, lol. 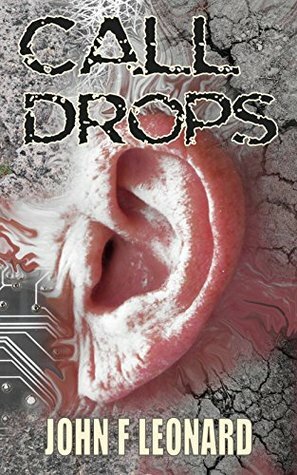 Check out the book, Call Drops by John F. Leonard, as featured in this post from the Books and Such blog.